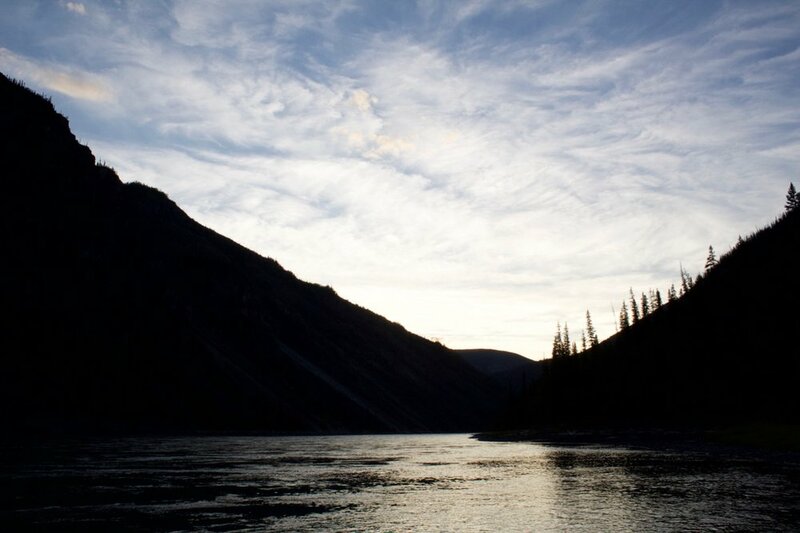 New for 2019: We are excited to offer our one week rafting adventures through our sister company, Nahanni River adventures. 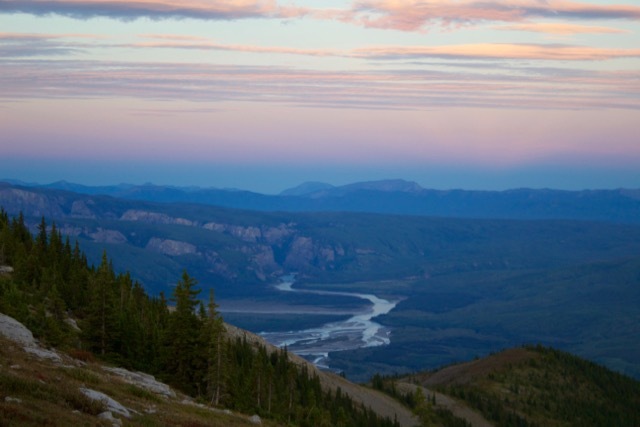 Our week long Canyon Kingdom adventure explores the Nahanni's most spectacular landscapes and takes you through the traditional territory of the Naha Dene. 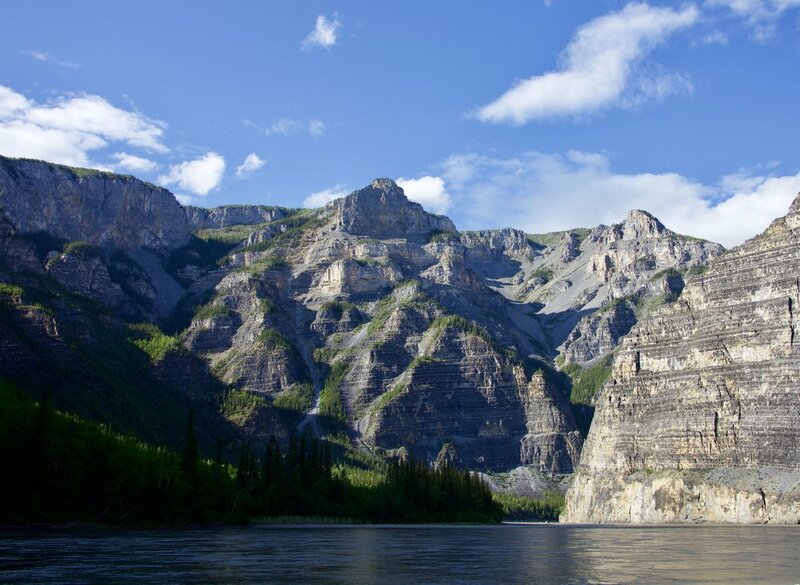 Drifting down river from 316' Virginia Falls you become immersed in the "Grand Canyons" of the Nahanni, Canada's deepest river canyons. Our schedule has been refined over decades of service and hundreds of trips to provide you with the most enjoyable adventure holiday. On the river a guide maneuvers your raft with oars leaving you free to take pictures, watch for wildlife or just soak in the scenery. In addition to the raft "mother ship" inflatable kayaks are available ($125 transportation surcharge) to provide you with the option of paddling your own kayak. Experience the thrill of paddling on your own through sets of rollercoaster waves through the fun and accessible inflatables. Ashore your guides choose the best campsites and offer hikes to vistas over looking the the river and up the many intriguing side canyons. In addition to a welcoming smile your guides prepare and serve delicious meals from our "river galley." We have added special features to each of our trips to enhance your experience. 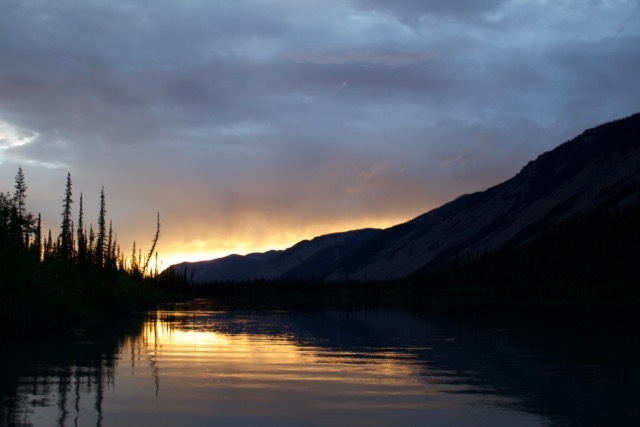 Power boat pick up at our last camp site, accelerates our arrival in the community of Nahanni Butte and leaves more time to enjoy the canyons and other trip highlights. Chartered flight from Nahanni Butte to Fort Simpson with aerial view of the Liard river valley, enhancing your time and focus on trip highlights. Canoes and inflatable kayaks are available, transportation surcharge applies. We provide one inflatable canoe on every trip. Short on time? We also offer a 5 or 6 day option for this trip. Inquire with Guest services for pricing and create your custom adventure! Learn about "True Wilderness Adventures" .